A native of Beijing, China, Melissa began her training at an early age beginning with a study of the Chinese classics and classical Chinese language. She later became a disciple in TCM under Master He Pu Ren a famous TCM physician and Neijia (internal arts) master who was honored as one of China’s “Living Treasures.” Under Master He Pu Ren (also the personal physician to Deng Xiao Ping—Mao Tse Tung’s successor), Melissa studied not only TCM, but also medical qigong and other Taoist internal arts. Melissa Yang earned her MD from the prestigious Capitol University of Health Sciences, College of Traditional Chinese Medicine and Pharmacology–one of China’s top medical schools. After completing her training, she was a both a physician in the internal medicine department at Beijing’s Gu Lou Hospital and an acupuncturist at Beijing Hospital. In addition to her work as a physician, Melissa also conducted research in pediatric developmental disorders and was later published in the respected Beijing Journal of Traditional Chinese Medicine. After immigrating to the US, she became a professor in Oriental medicine, acupuncture, and TCM manual medicine (tui na) at the American Institute of Alternative Medicine in Columbus, Ohio. 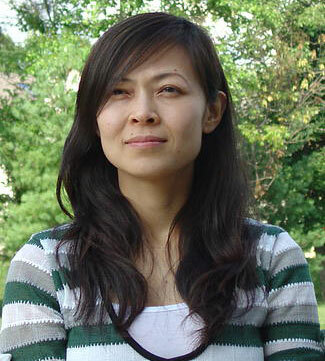 Dr. Melissa Yang is national board certified in both acupuncture and Chinese herbology. Having practiced acupuncture for over 20 years, she has successfully treated thousands of patients with a wide variety of health problems.